RECORD revenues from gaming on Facebook have given a boost to King.com, the British firm behind Candy Crush Saga, the most popular game on the world's biggest social networking website. Riccardo Zacconi, chief executive of King, said demand was growing because when users are logged into Facebook, they can switch between mobile and personal computer while continuing the same game and it makes it easier for friends play together. "We have seen the whole business growing very well on Facebook and on mobile," said Mr Zacconi, whose London-based social gaming company claims to have four of the top dozen games on Facebook at present. "The experience is seamless and multi-platform. It reinforces the whole game experience." 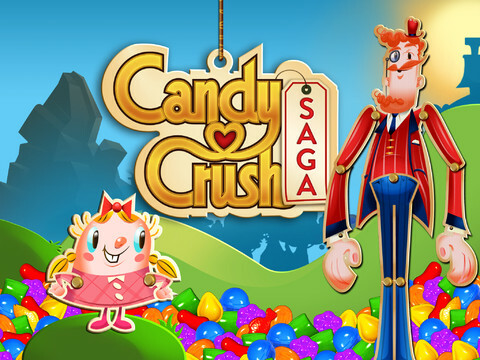 Candy Crush has 15 million daily players and became the most popular game on Facebook last December. While Mr Zacconi did not reveal financial details, Facebook has said its gaming revenues surged 12 per cent in the first three months of this year - despite the challenges facing King's rival, Zynga, which used to be the market leader with its hit game Farmville. "Q1 represented our largest three-month quarter of games revenue to date despite a 37 per cent drop in year-over-year payments volume from our largest developer," David Ebersman, chief financial officer of Facebook, said at its quarterly results, according to All Things Digital. "Our other developers increased their payments volumes by almost 60 percent, and we saw record numbers of people playing games on Facebook." King uses a "freemium" business model. Its games, which also include Pet Rescue Saga and Farm Heroes Saga, are free but users pay around 69p for extra features. Mr Zacconi's company said its games attract more than 135 million monthly players across all sites and devices, including its standalone Apple and Android mobile apps. King's shareholders include Apax Partners and Index Ventures. The company is said to be eyeing a flotation.